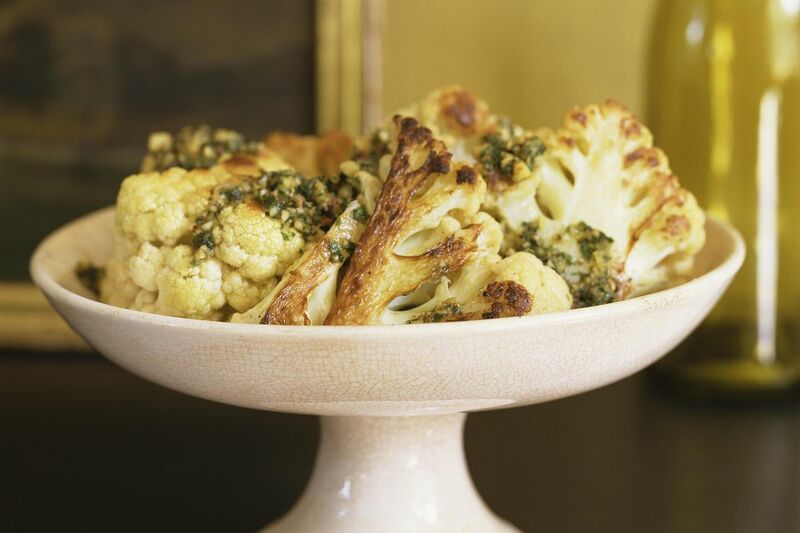 This roasted cauliflower recipe is a great way to enjoy this very nutritious vegetable. Cauliflower recipes aren't usually the most exciting dishes on the table, but this butter-roasted version is as unusual as it is delicious. 2. In a mixing bowl, toss cauliflower with the butter to coat completely, and season generously with salt and fresh ground black pepper. 3. Distribute evenly on a baking sheet, and roast for 35-45 minutes, until the stems are tender, and the edges are browned.